Entities with a mission to prevent and/or alleviate human suffering in armed conflicts. They are usually involved in: searching for, collecting and transporting the wounded and sick, missing and dead; providing medical treatment to the wounded and sick; assisting prisoners of war; and assisting the civilian population through the provision of humanitarian relief. They are also sometimes referred to in IHL as impartial humanitarian bodies. Relief societies constitute a particular type of humanitarian organization. Such societies are recognized by their respective governments and their staff are placed on the same footing as military medical personnel, provided that such staff are subject to military laws and regulations. Nowadays most societies of this kind are National Red Cross or Red Crescent Societies. In armed conflicts, relief societies of neutral countries can lend the assistance of their medical personnel and medical units to a party to the conflict, provided they previously obtain the consent of their own government and the authorization of the party to the conflict they aid, and that the adverse party to the conflict is informed in advance. Besides relief societies, other examples of humanitarian organizations include intergovernmental organizations such as the United Nations with its different programs and funds (e.g. UNHCR, UNICEF, UNRWA etc), and non-governmental organizations like Medecins Sans Frontieres (MSF). 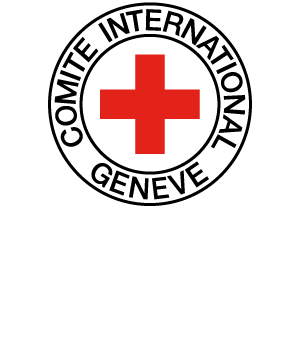 Finally, special mention must be made of the ICRC, a humanitarian organization with several protection and assistance functions specifically mentioned in the Geneva Conventions and their Additional Protocols. BIERENS DE HAAN Barthold, Humanitarian Action and Armed Conflict: Coping with Stress, Geneva, ICRC, July 2001, 3rd ed., 28 pp. MACKINTOSH Kate, “Beyond the Red Cross: the Protection of Independent Humanitarian Organizations and their Staff in International Humanitarian Law”, in IRRC, Vol. 89, No. 865, March 2007, pp. 113-130.